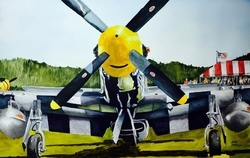 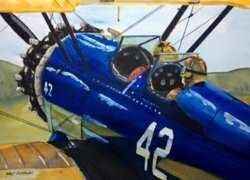 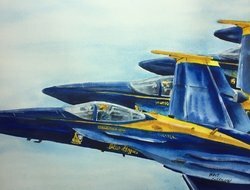 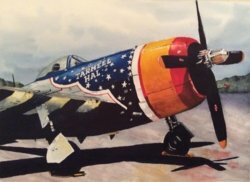 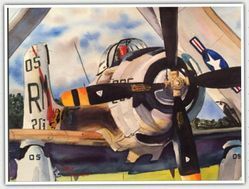 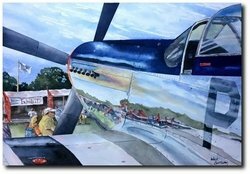 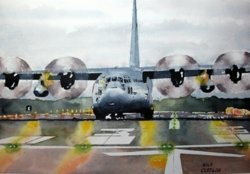 Walt Costilow - an award winning artist - works in watercolor and his unique perspective gives the viewer the feeling of being right there - and that one is about to jump in the plane as it starts moving away. 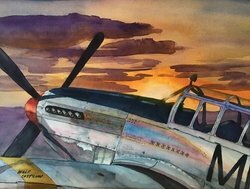 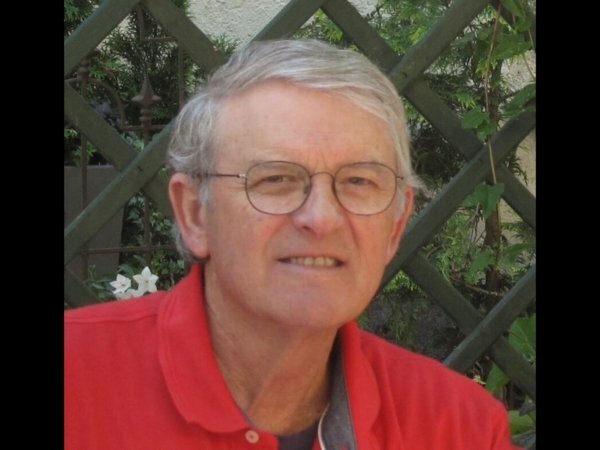 The watercolor medium he uses allows him to create his interpretation of real places, events, and people he has seen in his travels pursuing his love of flying. 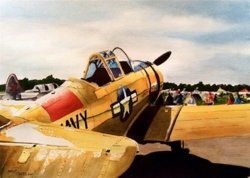 Walt is a retired United States Air Force pilot, and also had a distinguished career with a major airline.